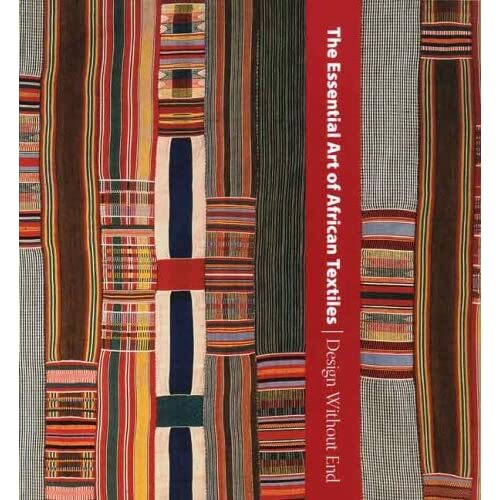 This informative and beautiful volume sheds light on the enduring significance of textiles as a major form of aesthetic expression across Africa, relating long-standing cultural practices to recent creative developments. Some of the finest and oldest preserved examples of West African textile traditions are presented, and both their artistic and technical qualities are examined. Wrapped around the body, fashioned into garments, or displayed as hangings, these magnificent textiles include bold strip weavings and intricately patterned indigo resist-dyed cloths. The influence of African textiles on contemporary artists is also explored, featuring artworks by eight individuals who work in media as far-ranging as sculpture, painting, photography, video, and installation art. A monumental metal tapestry by the Ghanaian El Anatsui that pays tribute to traditional kente prestige cloth while constituting an inventive new genre is discussed in detail. Alisa LaGamma is a Curator and Christine Giuntini a Conservator in the Department of the Arts of Africa, Oceania, and the Americas, The Metropolitan Museum of Art, New York. To paint a picture of a real and present Africa in Dakar as in Bamako, Accra, or Lagos is to capture their dynamic marketplaces ablaze with color. Across the continent, these living tableaus that are the epicenters of their communities are defined by a lyrical cacophony of designs and hues. The fabrics of such immense collages of humanity constitute scores of acts of aesthetic self-determination predicated on the rich variety of ways in which cloth has been elaborated. --This text refers to the Digital edition.